Recently on the ULC Monastery blog, we discussed the Freedom of Religion Conference in Madison, Wisconsin, and how it highlights the obsession with religion in the U.S. We also discussed the re-installation of the Ten Commandments on public school buildings in a rural school district in the U.S. state of Virginia. Now, the Virginia House of Delegates has passed a bill which would make it easier for public officials to pray on public property. The bill is an attempt to protect free speech within the public realm, yet it fails to remain religiously neutral, because it does not accommodate every group. The new amendment to the Virginia state constitution was offered by Del. Bill Carrico, R-Grayson County, and it would supposedly permit prayers to be conducted on public property without implying government endorsement of a particular religious belief. It passed with a substantial margin of 61 votes to 33. According to Chelyen Davis of Fredericksburg.com, Carrico said that the amendment “strengthens the rights of an individual on public property to acknowledge God or their heritage”. The bill was partly inspired by a case in which police chaplains were conducting sectarian prayers—based largely on the tenets and doctrines of the Christian faith—at public police events. A directive implemented under the state’s former mayor dictated that chaplains must avoid invoking any particular religious belief that would alienate anybody present. According to Davis, a federal appeals court “had ruled that Fredericksburg city councilman Hashmel Turner could not pray to Jesus Christ in prayers at open council meetings”, because “mentioning Jesus made the prayer sectarian”, and “public prayers should not emphasize one faith over others”. 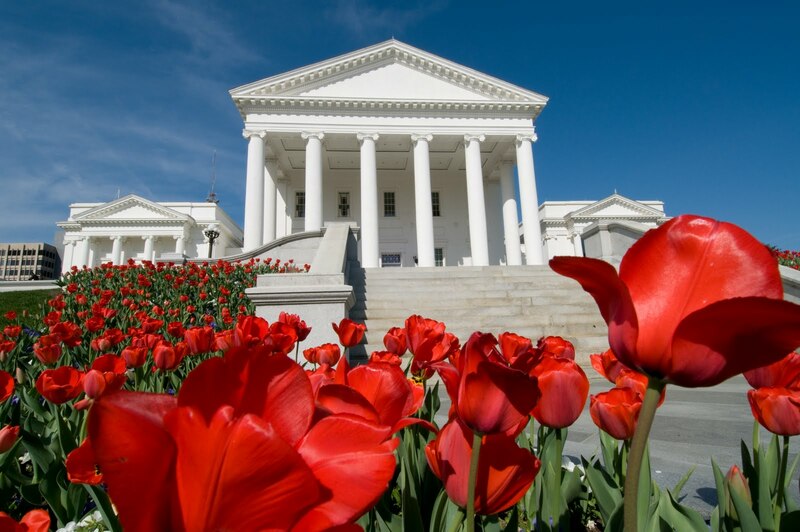 Although Virginia’s present governor, Bob McDonnell, repealed his predecessor’s policy, Carrico presented the bill to the House anyway with the hope of ensuring that free expression would have stronger protections. Carrico’s reasoning behind the bill was that secularists were impinging on religionists’ freedom of expression by preventing public officials from conducting prayers on public property while on the clock. “No longer would the secular world be able to tell anyone that their beliefs would not be tolerated in public,” Davis quotes Carrico as saying. “I don’t think our forefathers wrote this language to tell us that you can’t pray. I believe that they wrote it saying that the government could not tell you not to pray”. In other words, for Carrico, preventing prayer in the context of civil government constitutes a form of religious intolerance, and the purpose of the bill is to guard against such intolerance. But Carrico’s reasoning could be seen as deceptive, misleading, and unfair for at least three reasons. First, any protection of belief regarding religion must also include protection of belief in no religion. This is only fair. If theists should be permitted to proclaim belief in God on public property while on the clock, so atheists should be permitted to proclaim belief in no god on public property while on the clock. But the bill provides protections for expression of theistic beliefs, and not for expression of atheistic beliefs. Second, who is being intolerant? 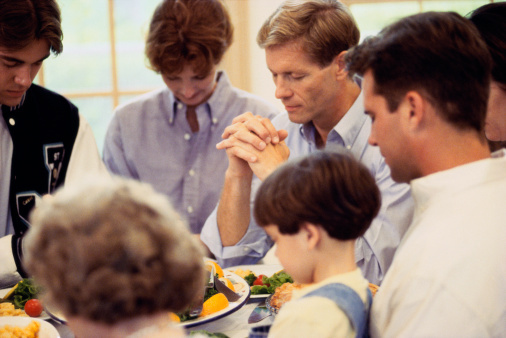 Prayer in public school (which would be made possible if such a bill were passed) exacts a penalty of exclusion on students who choose not to participate, and it still imposes a given religious belief on them. Even if a student does not participate, the prayer is still being presented to them—exposure to the religious character is unavoidable. (Clearly, a spoken prayer is intended to be heard and absorbed as a message.) Besides, even if the student sits out in the hallway during the prayer, this is alienating, and is a waste of time intended for education, to which all students have the right to have access. I have great respect for the passionate faith of the gentleman from Grayson, [but] some of the supporters of this amendment don’t know what it means to be a religious minority…. Nearly every day in this chamber, the most public of public property, our session opens with a prayer that invokes Jesus’ name. You may not notice, because when you’re the majority it’s easy not to. But when you’re the one being excluded it’s hard to miss. The reason such protections are put in place is that the “little guy” needs them, and in the U.S., the “little guys” are Judaism, atheist, Islam, Hinduism, paganism, Buddhism, and other world religions. Not Christianity. The day that Christians become the target of persecution in the U.S. (in the same way as Muslims are in Tennessee), the principle can be invoked to ease their plight, as well. Indeed, the very fact that persons who do not believe in Jesus are expected to sit through a Christian prayer in the Virginia House of Delegates, or else waste their time dawdling outside in the corridor when they could be doing real work, only attests to this claim. It will be interesting to see whether the Virginia Senate approves the bill. According to Davis, it is not expected to be received as warmly there as in the House. On top of that, the bill must go through both houses a second time around, only to go before voters in a ballot initiative. At any rate, drawing the line between religious expression and religious imposition can be tricky. Tell us what you think. Should public officials have the right to hold prayers on public property, while on duty, or does their freedom of expression end where it forcibly and unreasonably inconveniences nonbelievers?